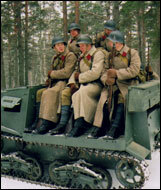 The Finns had 28 Vickers-Armstrong tanks, or like versions of this tank, in service at the time of the Winter War. Of these tanks only 13 were combat worthy. The tanks were armed with the 47mm cannon which was a capable weapon at the time of the Winter War. 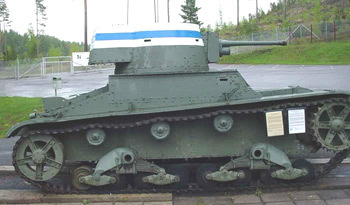 The only Finnish armor attack took place in February 1940 at the battle of Honkaniemi where six of these tanks went to action against Soviet T26 and T28 tanks.  The results for the Finns were disasterous as the older Vickers tanks were no match for the Soviet armor. A small number of these tanks were purchased by Finland in 1919 from the French government. By the time of the war these tanks were very outdated. The cannon was a 37mm Puteaux gun which was not a very effective weapon. 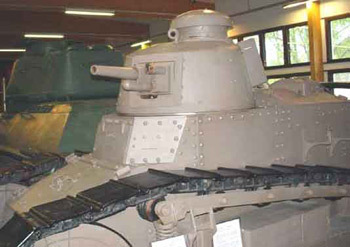 The Finns attempted to use these tanks as a fixed position weapon during the war as the tanks were not mobile enough to be used in the field. Most of these tanks were quickly destroyed.